Challenge > Track a victims location/hideout/commonly visited places (without target moving with phone, while having targets phone) << well this was going to be fun, and probably difficult , noting that this was not GPS, and no GPS app was running on the android phone, so..... here we go. Track a phone with no tracking application, and entirely not on the process of moving around. by the meantime :) have more fun , source of reference by the way, "Cheap mans GPS"
the above setup allows 8 channels sniffing, and will cost around 400 USD, this is a passive GSM sniffer and should be used only in a controlled environment. The tool includes an optimized keystream guesser “napalmex” (peaking at 99% success rate on insecure networks and with approx. 50% success rate even on secured networks), now again chit chatter. Phones have bandpass filter that they don't receive uplink well (only 10-30m). It is possible to do some work on desktop with 2TB harddrive, but it's extremely slow. The compilation of all sources will take several minutes on a modern Core i* computer or 2 hours on Intel Atom netbook. + Install ARM toolchain. The phone is an arm, so we will cross-compile on our x86. 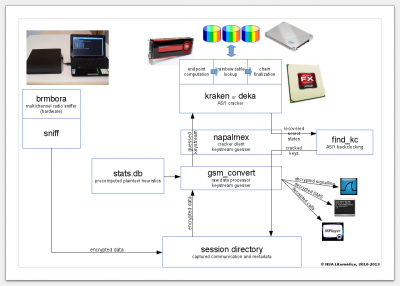 + Kraken will tell you the secret state at some round of A5/1 keystream generator. You need something to backclock (revert and extract original key) the cipher. Use find_kc from Kraken-Utilities patched with our version to support uplink. + Without a brmbora™ genuine device you need to press button on your phone. Received DOWNLOAD ACK from phone, your code is running now! If it got stuck before the "LOST" message, try again. Contact your brmbora™ authorized reseller in case of problems. Some .dat files should appear in SESSION/new/. They are usually 5-15 kB each. FIXME We now have better sniffer using master-slave architecture useful if you have 4+ phones. See bin/gsm_spawn_master_slave.sh for more info. Cracking your own data from your very own phone of course! Use napalmex.py for a statistical keystream guesser with up to 100% efficiency on less-secure networks and ability to crack about 50% of traffic even on secure networks! Interesting .dat files are the bigger ones (10kB). Interesting frames are "GSM-SMS CP-DATA". 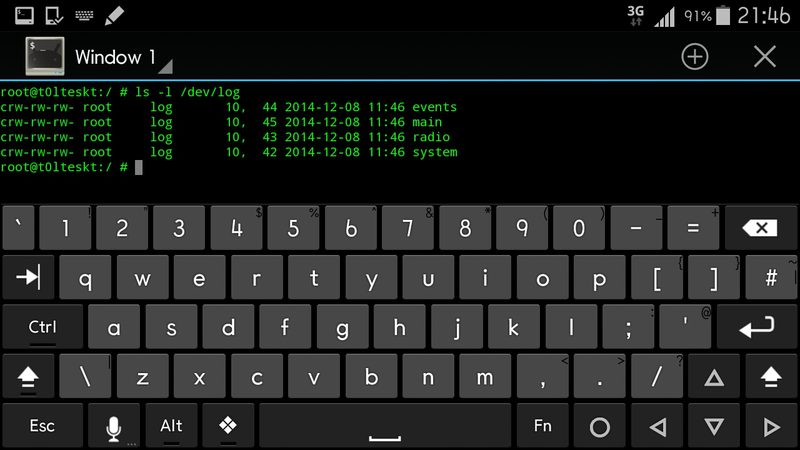 See gsm_evenlog.sh for tips how to extract phone numbers, SMS messages etc.